A clever and exceptionally technical player that can play as a No 10 or as a direct CF. Has a high understanding of the game with strong passing and goal scoring ability. Will compete physically, can play at speed and does not stop moving. 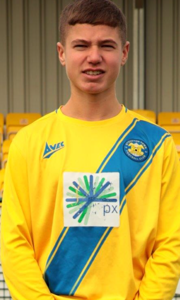 Recently signed for Stockton Town and adds a great deal of quality having previously played for Middlesbrough FC. Will look to have an immediate impact on the league and team.